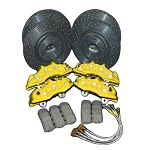 Your Grand Sport or Z06 C6 Corvette needs and deserves the best brakes available. We are proud to offer the C6 Corvette Grand Sport/Z06 Hawk Performance Rear Ceramic Brake Pads at a great price. The Hawk brake pad reviews are in, and they're raves. 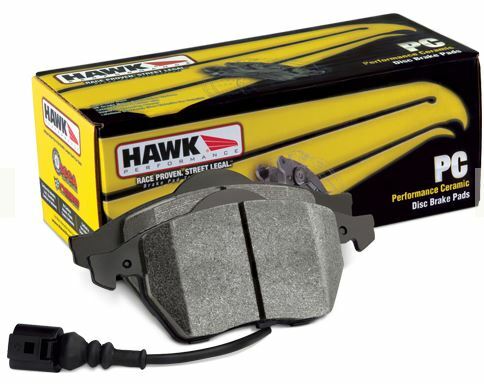 Some of the benefits of Hawk Ceramic Brake Pads include improved stopping power, increased pad and rotor life, low dust and quiet operation. 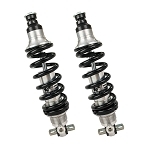 The available single-piece design upgrade means more surface area and thus even better braking while simultaneously resulting in less noise and vibration.